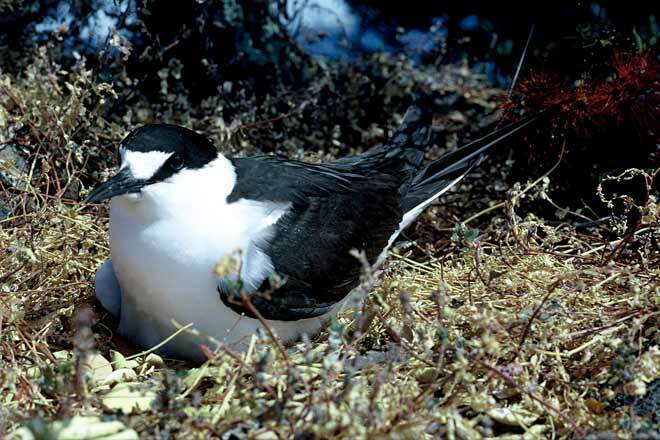 Within New Zealand, sooty terns nest on the Kermadec Islands, the largest colony of 10,000 pairs being on Macauley Island. Their high-pitched call sounds like the word ‘wideawake’, giving them their alternative name; they also warn intruders off with a deep growl. They feed further out to sea than other terns, and are rarely seen on land once breeding is over.